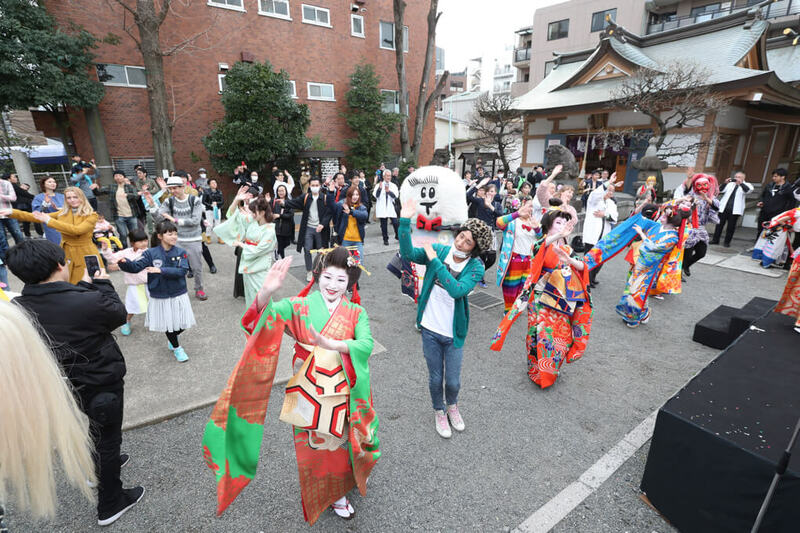 This year was a new challenge for the MOSHI MOSHI NIPPON FESTIVAL- the first time the event was held over four different locations around the Shibuya and Harajuku area! The stylish La Foret department store, the famous music hotspot Tower Records, the bustling shopping square Shibuya Cast and finally the traditional tranquillity of Onden Shrine. All the best of Japanese pop-culture – held within just a short distance of each other! Here were some of the highlights. 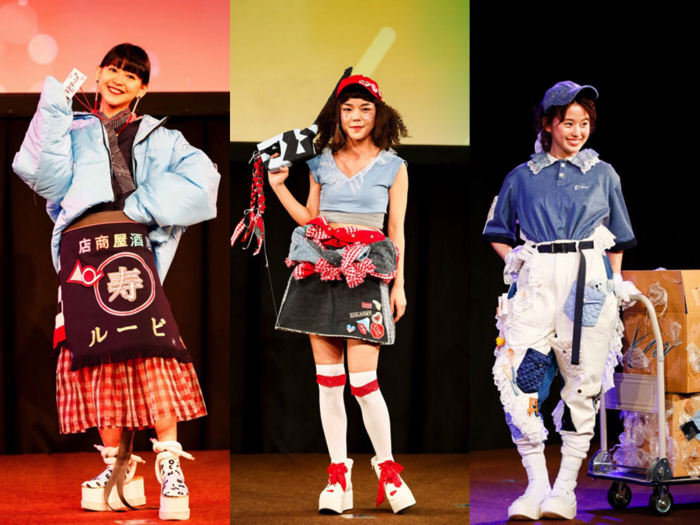 Fashion at MOSHI MOSHI NIPPON FESTIVAL 2018 set the bar high! 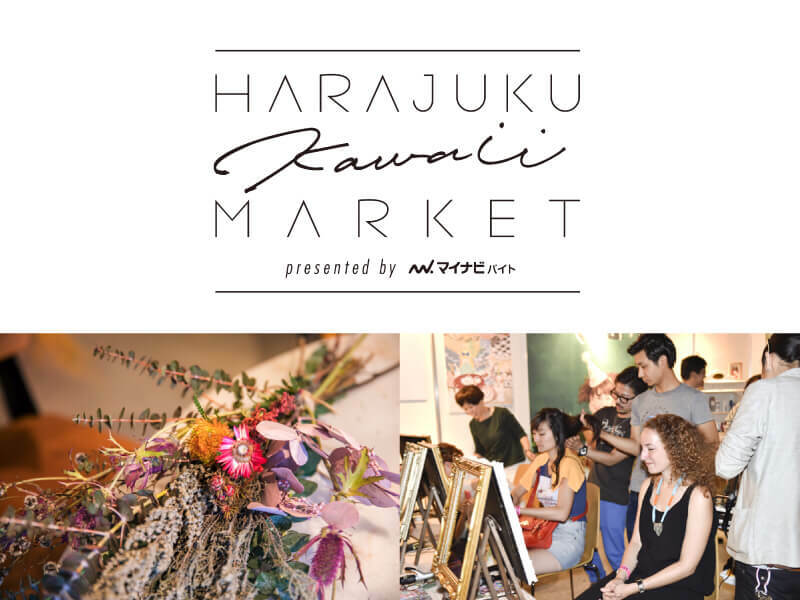 The Harajuku Kawaii Market area in particular brought together a wide variety of styles in two days of the latest Kawaii trends. Bright, colourful fashion as well as toned down, natural fashion was displayed at booths and on stage by famous models. Bulldog Tanei to Kieta Hoshi (BUNKEIDO Co., LTD.) is a really famous picture book in Japan, loved by children and adults alike for its moving story. It has a very distinct art style and colour scheme – the perfect ingredients for a fashion show! 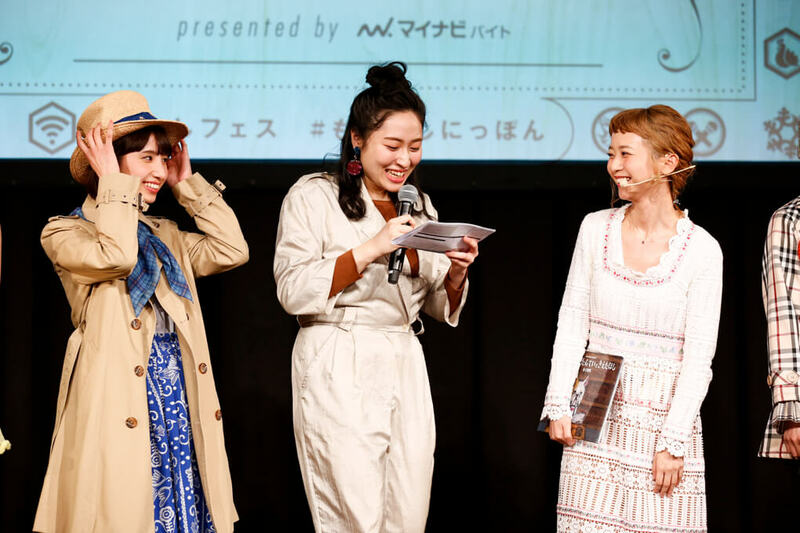 Singer and presenter Natsume Mito produced the show herself – everything from the concept to shopping for the clothes in vintage shops. When asked on stage why she chose this book in particular she answered – “The drawings are cute so easy to match fashion to. But I also thought it would be nice to use a moving story to make people smile by watching this fashion show”. Everyone who attended could write their wishes on star shaped paper and stick it on the night sky wall outside the event – just like in the picture book. 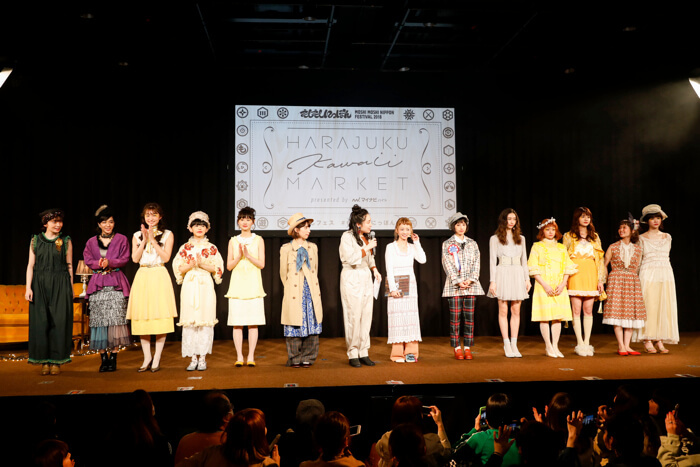 Gas station workers and barmaids are not necessarily the jobs that come to mind when you think of Kawaii fashion – but the My Navi Baito Challenge Awards are here to change that stereotype! 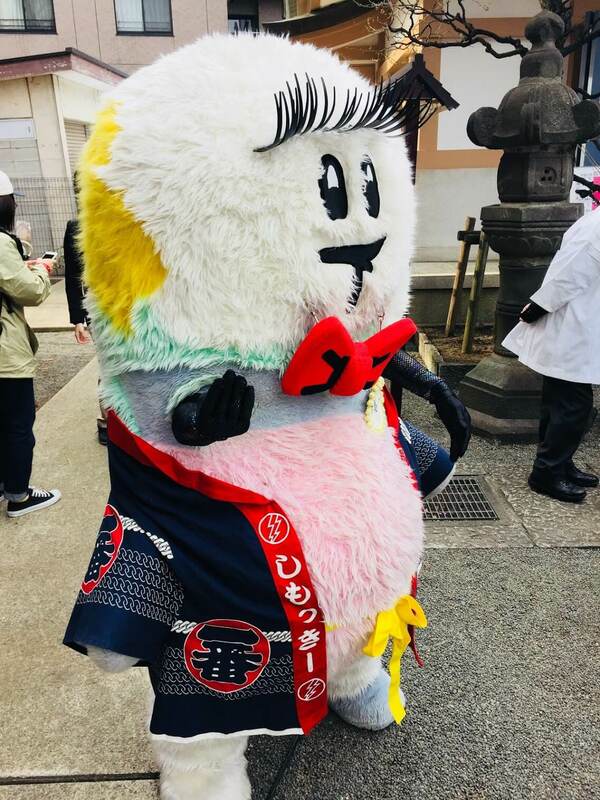 The competition showcased at MOSHI MOSHI NIPPON FESTIVAL was for fashion students with the challenge of creating cute “baito” outfits – “baito” means part time work in Japanese. Popular models showed off the outfits on stage. 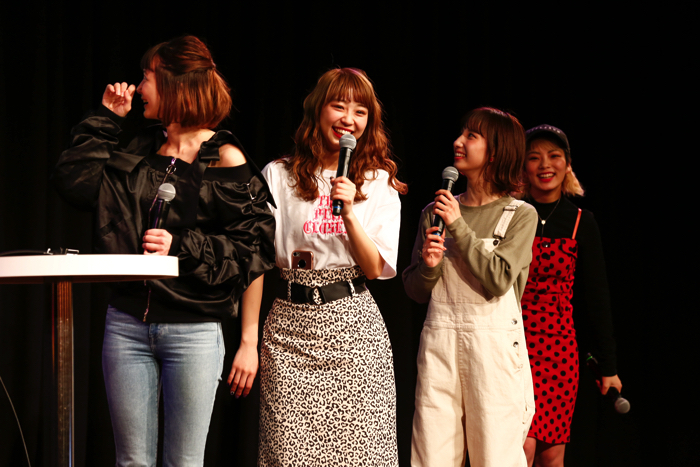 Model Yano Anna commented that her moving van worker outfit was really cute with lots of lace but also very practical with big pockets, and that if the outfit was this cute, she would definitely like to do this part time work! The students, who only had one month to complete the project, were also interviewed on the key points of the outfits and any difficulties they faced. The winner was decided by audience vote over the two days. In recent times social media presence is really important for models, for building their fan base and giving fans a look into their everyday lives. Many came to get tips from top models giving this panel on creating “Instagrammable” photos – which covered every topic from fashion to cosmetics to photos of food. 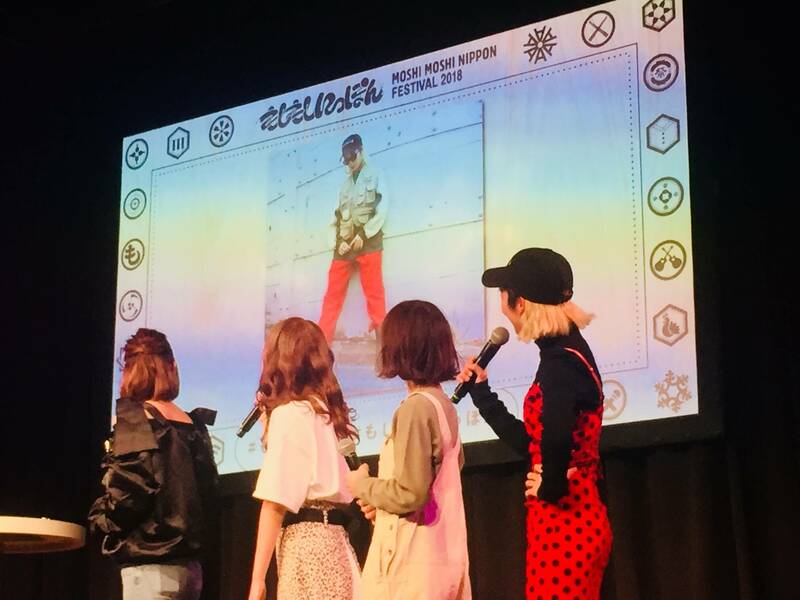 Rikako Ōya from popular idol group Babyraids Japan explained that she takes some of her photos on a film camera to bring out the bright colours of her clothes. She also likes taking artistic photos, such as where she used the light of Tokyo Tower reflected on her face for a very expressive, serious photo. Ellie likes to capture the beauty of nature and tradition in her outfit photos by posing at lakes and shrines. Ema on the other hand focuses on capturing the charm of cafes around Japan. She does this by framing the table to look stylish and simple but with something surprising, such as a beer or a brightly coloured blue soda. Her key tip was to always use natural light rather than filters. Yuna’s aim is to show dog owners in Tokyo cute and fun places to go through her Instagram. There were a lot of “awws” from the audience in reaction to her photos of her dog swimming! Yuri’s photos focused more on cosmetics and beauty. One of Yuri’s most popular photos is of her nails in a Jacuzzi, where the bubbles really bring out the colours. Another signature photo she takes is a zoomed in part of her face, such as her eyes and nose, which she then posts on Instagram. It was a fun and educational panel! One of the four locations was Onden Shrine – tucked away behind the streets between Harajuku and Shibuya. 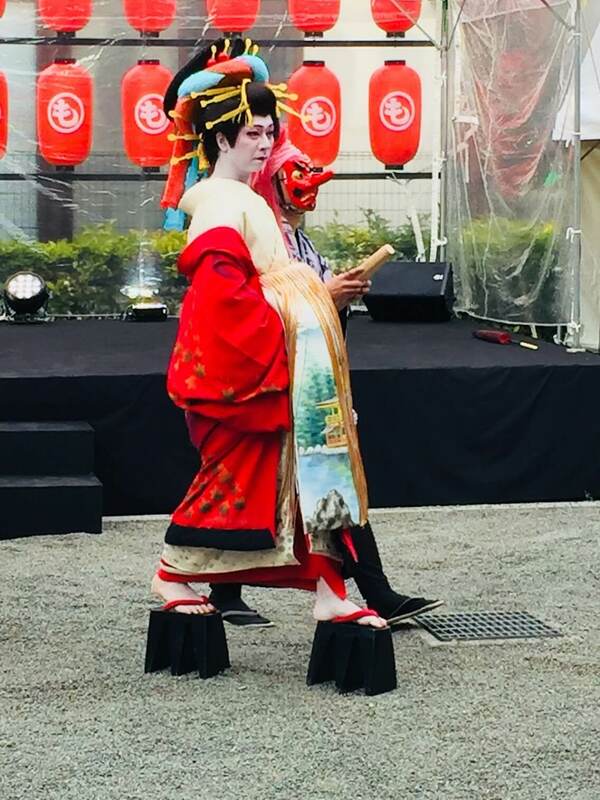 The Bon Odori was a stunning masterpiece that was not to be missed. A procession of beautiful colours, striking makeup and the highest shoes I’ve ever seen! The wave of contrasting kimono down the path to the shrine to graceful traditional music, was combined with fast pop beats to give the show a modern twist. Even DJ character Shimockey was happily dancing along to the music and getting everyone involved! 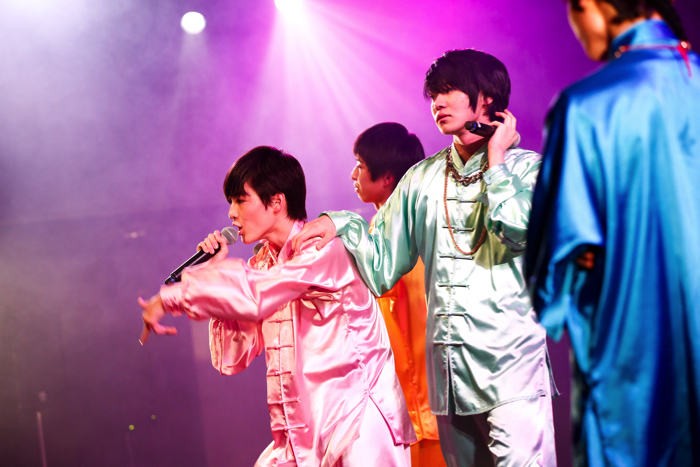 When the performance was over the audience could even learn a special Bon Odori taught by the performers, a mash up between traditional flowing dance moves and energetic j-pop. Fortune Telling is a tradition in Japan that dates back to the Edo period, and recently has become trendy and modern. For example, fortune teller celebrity Chamereon Takeda has over 50,000 followers on her official LINE account, and fortunes regularly appears on television and in magazines. 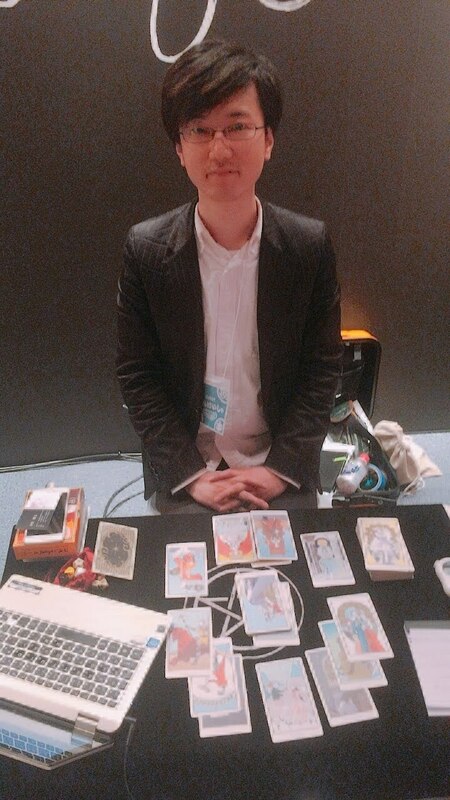 I have always been fascinated to try tarot cards so I had my fortune told by Yuushi Kusunagi, who is also a voice actor and MC! While tarot cards are a very traditional method, he also used computer software to input my answers for part of the fortune telling. It was a really interesting experience! In a traditional x kawaii mashup, YUMENOYA Kimono Salon had a booth at SHIBUYA CAST, a market area with food, robots and even a foot spa! 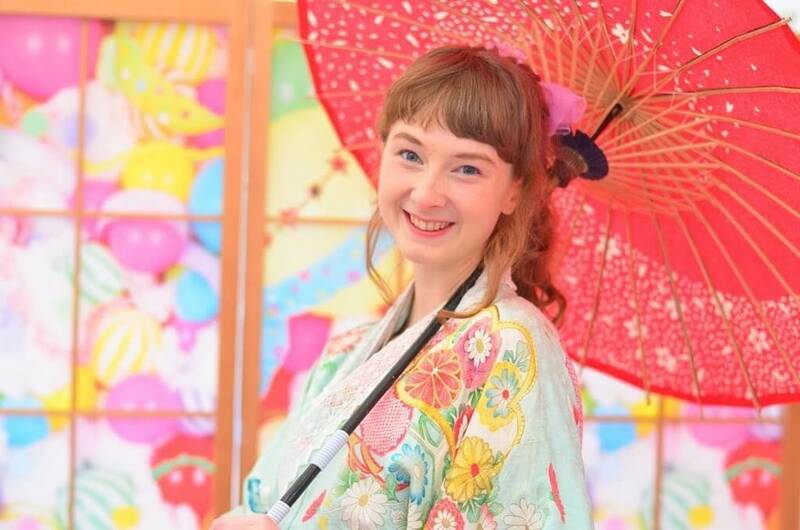 The kimonos are all distinctly very beautiful in kawaii colours – this is because the kimono most suited to Harajuku fashion are handpicked from rooting through hundreds at markets. You can even see some are adjusted with added colours and lace. If you think the background looks familiar, the colourful shoji (sliding paper) door is actually designed by Sebastian Masuda, the genius behind the designs of Kyary Pamyu Pamyu’s music videos! If you’re interested in trying this out, YUMENOYA has a permanent store on the 1st floor of MOSHI MOSHI BOX in Harajuku! The hugely famous music location for locals and tourists alike, Tower Records hosted three stages and many different acts across the weekend. 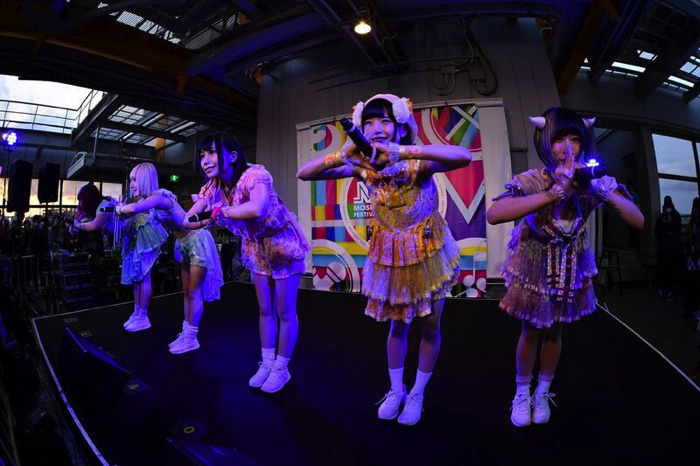 I decided to check out the performance of idol group CY8ER, who have gained huge traction abroad for their bass heavy tunes and energetic performances. Many members were also already influential figures in the idol world before joining the group, and member Rinahamu is actually also the producer! Their musical genre is commonly described as Future Bass, a subgenre of EDM. It was definitely a performance to dance and chant along to, and I had a lot of fun alongside the other fans. 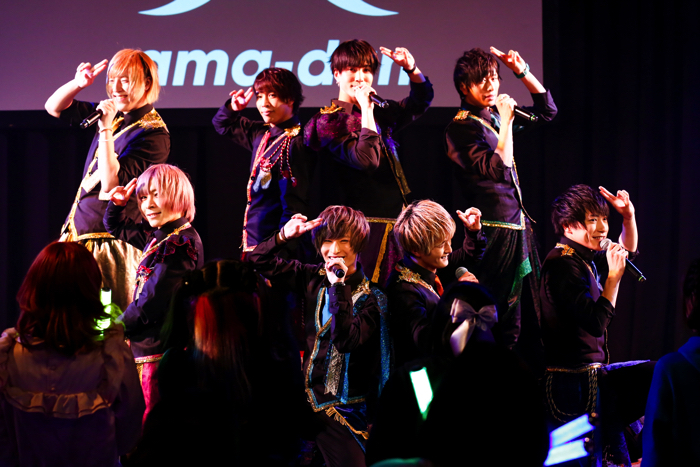 The Harajuku Kawaii Market stage hosted two very cool boy groups over the weekend. Sugary sweet Amato Danshi are themed completely around sweets, with some of their famous tunes being “Choux Cream” and “Chocolate”. During the bridge in one of their songs, they even gave out sweets to everyone in the audience before rushing back on stage! You could even buy sweets they recommend at a booth in SHIBUYA CAST. MAGiC BOYS are possibly the youngest hip hop rapping group I have ever seen, the youngest member being only 13 years old and a DJ! “Ore no Kami ha Kuro” is a song that revolves around the stereotype that dying your hair in Japan gives you a rebellious image, but they think the hair you were born with is more cool. Their performance was not only energetic but also theatrical, they really put on a show! After all of that, how will MOSHI MOSHI NIPPON FESTIVAL top it next year? We will have to wait and see! Thanks for reading!